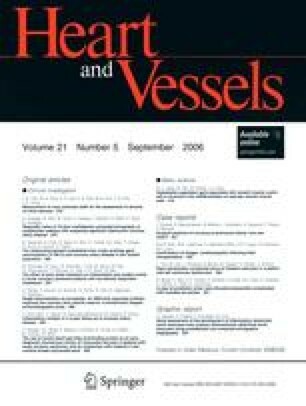 The role of decreased active vitamin D levels on vascular calcification has not been elucidated in hemodialysis (HD) patients. The aim of the present study was to evaluate the relationship between progression of aortic arch calcification (AoAC) and prescribed dose of 1α-hydroxy vitamin D. The enrolled study subjects were 65 (40 men and 25 women) HD patients. Calcification of the aortic arch was semiquantitatively estimated with a score (AoACS) on plain chest radiology. Change in AoACS (ΔAoACS) was obtained by subtracting the baseline AoACS value from the follow-up AoACS value. The second assessment was performed from 2 years after the first determination. The nonprogressors (63.2 ± 14.5 years) were significantly younger than the progressors (68.2 ± 10.8 years) (P = 0.0419). In addition, prescribed dose of 1α-hydroxy vitamin D3 was significantly higher in the nonprogressors (125.5 ± 109.1 μg) than progressors (84.8 ± 81.1 μg) (P = 0.0371). Multiple regression analysis revealed prescribed dose of 1α-hydroxy vitamin D3 (β value = −0.324, P = 0.0051) as well as DBP (β value = −0.418, P = 0.007), serum levels of P (β value = 0.333, P = 0.006) and C-reactive protein (β value = 0.237, P = 0.0048) to be significant independent determinants of ΔAoACS. In conclusion, the evaluation of AoACS on chest radiography is a very simple tool in HD patients. Active vitamin D therapy seems to protect patients from developing vascular calcification.